Waist bag is designed for convenience,which releases man’ s hands, letting them go out without carrying anything in their hands. 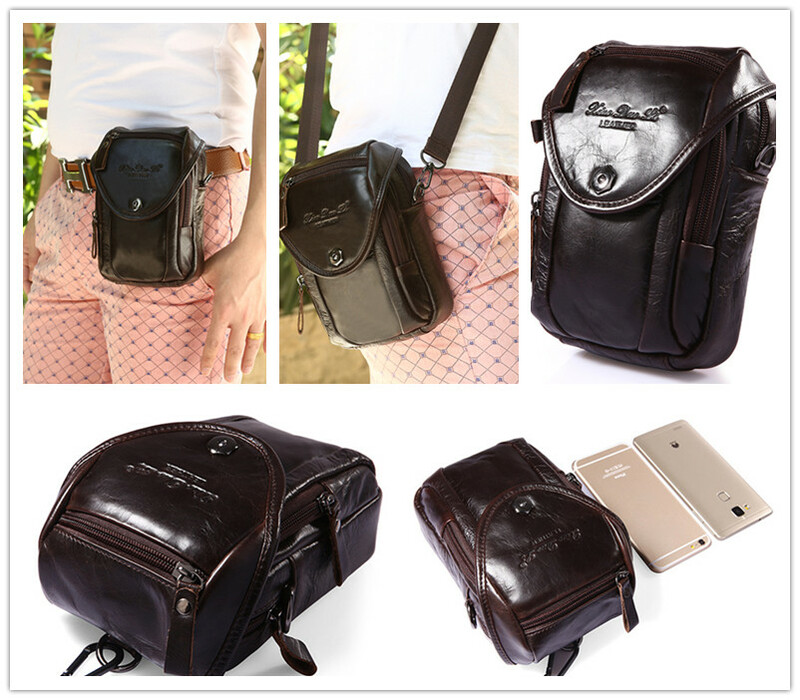 Now, waist bag is the perfect combination of fashion and convenience so it is not doubt that it wins the preference of men especially when they just go out for a while. Are you looking for such a bag for convenient use. Now look at here, here are some wonderful new arrivals of waist bags for you. 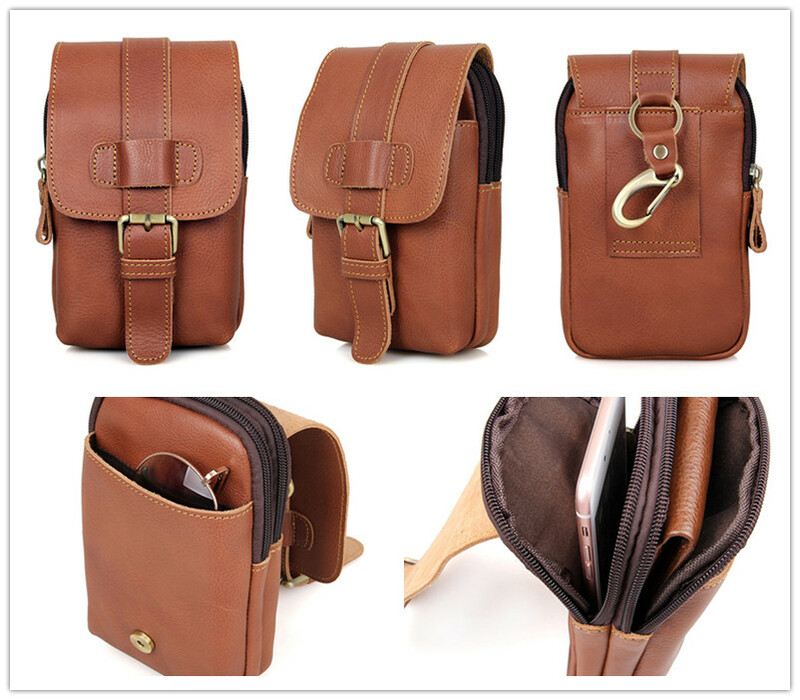 This one is not only used as a waist bag but also a crossbody bag so you can use it according to your preference and your need. Besides, it can accommodate mobile phones, cards, pens and so on. Generally speaking, it can satisfy the basic necessities which you need when you go out. And it look so great for its leather materials. This one is also a wonderful choice for you. Its smooth leather materials make it look great and formal and its simply-designed look fashion so it can be used for formal and casual occasions. What’ s more, it is a multifunctional one. 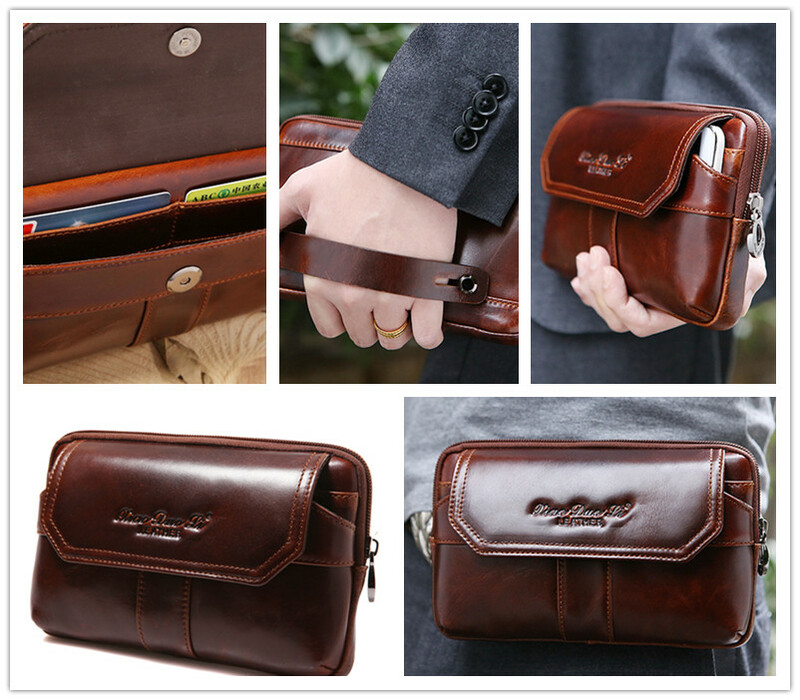 For example, you can take it in your hand which looks elegant and formal as a men wallet. And it can also used as a waist bag. So if you are a businessmen, it deserve your consideration. This one is designed for casual use. The hook design allows you to wear it easily and take it off easily. Besides, three layer design can enable you to place your mobile phone, cards,changes and also sunglasses and casual look combined can be suitable for you when you go travel.